The Dalles, OR—Levels of naphthalene and other polycyclic aromatic hydrocarbons (PAHs) in the air near a railroad ties manufacturer in The Dalles are below levels that might produce immediate human health problems, according to data state agencies released Thursday. Oregon Health Authority is not advising that residents take any special health precautions related to these monitoring results. However, readings for emissions of naphthalene and PAHs exceed long-term health benchmarks, Oregon Department of Environmental Quality and OHA analysts say. State regulators will continue to take air quality readings to assess potential health issues from long-term exposure and to determine what course of action to take. DEQ began collecting air samples in The Dalles community in June 2016. The agency, in collaboration with OHA, is analyzing the air samples for naphthalene and other PAHs. Various sources contribute to the presence of naphthalene and other PAHs in the air, including automobile exhaust and smoke from cigarettes, woodstoves and wildfires. PAHs are a group of more than 100 different chemicals and are tar-like by-products released from burning fuel, tobacco, wood or other organic substances, such as charcoal-broiled meat. AmeriTies, the railroad tie manufacturer in The Dalles, is also a contributor of naphthalene and other PAHs due to their presence in the products used to treat railroad ties. DEQ is working with the company to reduce emissions of these air toxics. Initial monitoring results indicate naphthalene and PAH levels in the air near the company have exceeded the state's lifetime exposure health benchmark for the chemicals, though naphthalene and PAH concentrations are well below levels that would cause acute or short-term health risk. PAHs generally do not pose immediate or urgent health risks when inhaled in the short-term, but many of them can increase lifetime cancer risk with prolonged exposure. Exceeding the lifetime health benchmark concentration for naphthalene and PAHs could indicate a slightly increased long-term risk of developing cancers of respiratory tract for individuals who have lived in the area for many years. To determine the actual risk more precisely will require a longer period of monitoring data and more time for OHA to better assess the long-term risk. DEQ collected nine to 12 samples between June 2 and July 8, 2016, at three monitoring locations in The Dalles. DEQ and OHA have analyzed the naphthalene data and summarized the results in the table 1 below. The Oregon ambient benchmark concentration (ABC) and air quality goal for naphthalene is 0.03 micrograms per cubic meter (µg/m3) of air annually for a lifetime of exposure. OHA has proposed a provisional 24-hour screening level for naphthalene of 200 µg/m3. In developing this proposal, OHA considered a wide range of existing screening levels for short-term exposures based on values set by other jurisdictions around the country. The initial monitoring results are lower than the proposed provisional 24-hour screening level or any of the screening levels used by other states OHA studied. OHA is planning a process to review, revise and expand the list of all 24-hour screening levels for naphthalene, heavy metals and other air contaminants in a scientifically rigorous and public process over the next several months. More details about the process will be announced soon, and a review of naphthalene screening levels will be a part of that process. At the conclusion of that process, a final 24-hour screening level for naphthalene will replace this provisional one. DEQ and OHA have analyzed the PAHs data and summarized the results in the table 2 below. DEQ will continue to post more data as it is finalized. The monitoring will continue at least into September and could be extended if DEQ or OHA determine more data is needed to be certain of long-term health risks. DEQ is also working on relocating the city park monitor to an area further east, followed by another relocation further west to ensure the data represents the most affected parts of the community. DEQ began The Dalles monitoring program in response to odor complaints against AmeriTies. The company uses creosote in its manufacturing process. Use of creosote releases volatile organic compounds, or VOCs, as well as naphthalene and other PAHs. Since production at AmeriTies could affect the concentrations of naphthalene and PAHs in the air, DEQ analyzed the company's daily production records. During the sampling period, the production rate was similar between days when samples were taken and days when samples were not taken. AmeriTies is researching options for converting to a new, low-naphthalene preservative formula by Nov. 30, 2016 and has agreed to do so in an amendment to the Mutual Agreement and Order originally signed with DEQ in April 2016. This is one year sooner than the company originally agreed to. No other aspects of the agreement have changed. DEQ will hold an air quality forum in The Dalles in the fall to discuss monitoring results, the monitoring program, general air quality issues and AmeriTies with the community. 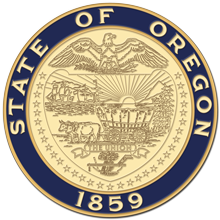 For information on Oregon's air toxics regulatory overhaul visit http://cleanerair.oregon.gov.